Of the myriad number of ways to “speed up” your internet connection, one way is to find a DNS server that performs best for you. namebench is a handy little open-source utility that will do all the dirty work for you. It comes in linux, os x and windows flavors. There’s even a command-line version. If you are hearing about Google’s foray into the operating system war for the first time, then I humbly thank you for being a follower of Morning Cup O’ Joe. When Google broke the news on its blog last night, the entire web was abuzz. As a friend of mine pointed out, Google’s business model is about gathering information on you, profiling essentially, in order to build an accurate marketing model. Knowing this, would you still use the Google Chrome OS? 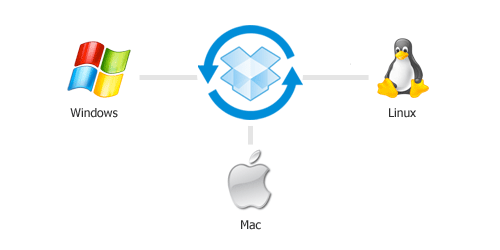 I’ve read about Dropbox awhile back and the general consensus seems to be of awesomeness with whipped cream and a cherry on top. Even though I’m already a heavy JungleDisk user, you can’t argue with something that is free and easy to use, so I gave it a shot. Dropbox runs on Windows, Linux and Mac, makes file sharing very easy and (here’s what won me over) has simple revision control just in case you accidentally overwrite or delete anything. I can see using this for collaboration on a project for users who don’t want to deal with conventional revision control systems like CVS or Subversion. Give it a test drive. Or at least take look at the screenshot tour or screencast. The UrlbarExt add-on for Firefox 3 is one of the handiest extensions I’ve seen. 1. Copy the current site URL or custom formatted URL. 2. Shorten the URL using your favorite service or right-click for more options. 3. Search the current site using Google for the selected keyword. Right-click opens a dialog for adding keywords. 4. Go up one level, or directly to the root of the current site with a double-click. Right-click gives you a list of levels to choose from. 5. Tag and bookmark the current page from a menu of tags. 7. Surf anonymously using online phproxy servers. Right-click lets you view the Google Cache along with other options. If you haven’t seen the buzz in the blogosphere yet, Google is releasing their own web-browser, dubbed Chrome, tomorrow. I just perused the info-comic (made by Scott McCloud of all people) explaining the ideas and architecture behind Chrome, and I must say that I’m curious. Multi-process *and* Multi-threaded – Each browser tab will be its own separate process with its own thread pool. If a website causes a crash, the whole browser won’t go down–only that one tab. There will also be a built-in task manager that will enable you to kill processes and threads and also identify exactly what is causing the crashes. This will require more memory up front, but could potentially save memory in the long run. Process compartmentalization – Google reinforced process boundaries to an even higher degree to prevent malware attack and bad plugins from hosing the entire browser. The “sandbox” (as they call it) is completely user driven. Using WebKit – The Webkit rendering engine is fast, light-weight and used in both conventional laptops/desktops and mobile devices. Potential iPhone app anyone? Omnibar – This will be Chrome’s equivalent to Firefox’s “Awesome” bar, or what we traditionally refer to as the location bar. Open Source – Google’s entry into the browser war can only help the internet as a whole. The entire Chrome project will be open sourced so I’m sure we’ll start to see some of these features absorbed into Firefox, Safari, IE (maybe), etc. Stability – Google has an index of, I daresay, trillions of webpages. Apparently they are subjecting test builds of Chrome to millions of websites each day and are approaching asymptotically that “100% compatibility” mark. Google Chrome is available for download now for Windows users. Firefox 3’s “awesome bar” is just that. If you start adding tags to your bookmarks, the awesome bar becomes a website launcher akin to Quicksilver for the Mac or Launchy for Windows. If you have a del.icio.us account and want to take full advantage of Firefox 3, check out this handy tool which merges your del.icio.us bookmarks with your Firefox bookmarks and preserves all of the tags. Being able to do google searches via a Linux-like shell interface appeals to my mouse-hating inner-self. Lifehacker has a roundup of the five most popular IM clients in use today. Personally, I use Adium on my laptop and Meebo on my iPhone.